If you think that organizing a hackathon means putting on a clever geeky T-shirt while checking the Wi-Fi connection, you are terribly wrong. To set up a hackathon, you'll have to engage all of your planning skills and tack on one sleepless night (yes, hackathons usually run for 24 hours without a break). 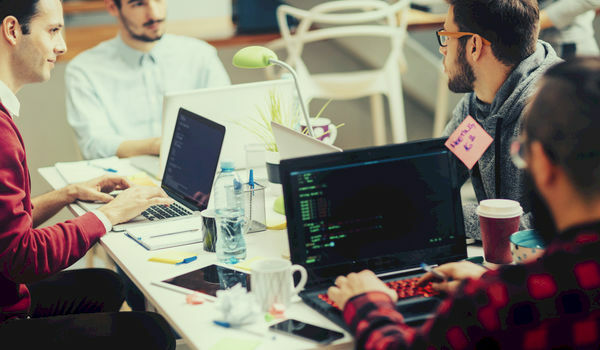 Defined by the Major League Hacking as 'invention marathons', hackathons provide a welcoming environment for those who want to create, innovate, or share their ideas. As Joshua Tauberer notes, 'hackathon' has a broad definition. First, it describes creative problem-solving. Secondly, it's an event where people come together to solve different problems (not always related to technology). According to Dave Fontenot, member of the online Hackathons Anonymous group, "Despite the complete lack of sleep, these events are addicting, and the community building around them is growing faster than ever." The traditional hackathon setup involves coding. Yet, hackathons are becoming increasingly popular. From civic technology to sustainable food, the participants try to find new solutions to different issues. So even if you aren't into coding or IT-related stuff, you might want to diversify your event-planning portfolio with the possibility of planning something different. To assist you with that, here are a few steps that will help you run a powerful hackathon even if you don’t have previous experience. The interesting thing about hackathons is that people have to form teams and search for solutions while competing against others. This means a bigger amount of pressure, but also lots of adrenaline. However, when creating the teams, as an event planner, your responsibility is to designate the project (or team) leaders. You have to be very careful when choosing leaders because the entire group dynamic will depend on those individuals. As Joshua Tauberer suggests, "Look at who is coming and if you know some of those people are coming with particular projects, identify project leaders." He continues on to say that you may want to meet these people prior to the event to concretize the details. Although the team members will know the specifics of the hackathon they are attending, it's important to have an in-depth welcoming session where you can explain the program, rules, and logistics. According to Tauberer, "In a small event (up to about 30 people), you can have all of the participants introduce themselves." The goal of the welcoming session is to erase any doubts and set a friendly vibe for the entire day (and night!). Imagine a big (or small) group of people working against the clock to complete a project in 24 hours and 'beat' the competition. The last thing they need is something to distract them from their goal of solving the problems and designing a winning solution. As an event planner, you need to ensure that the participants are in a comfortable environment and have everything they need. First, be sure that the room is hospitable. Is there enough light? Is the working space (table and chairs) comfortable for long sitting hours? Do the participants have all the materials they'll need? Secondly, don't forget about providing enough beverage and food. Most probably, the hackathon participants won’t have time to take a lunch break, so they might eat while working. Make sure they have plenty of food, including vegetarian and dairy-free options. And don’t forget about beverages. Apart from water and soda, make sure there’s plenty of coffee to help people stay awake during the night. Thirdly, be sure that the Wi-Fi is powerful enough (obvious, yet essential). You may not be always available, so determine a point-of-contact who can address the participants’ needs. This person has to know every single aspect of the hackathon logistics, come up with alternative solutions, and have full control over the situation. This is the moment when teams present their results and explain the solutions they found. According to Joshua Tauberer, in large groups, it's good for everyone on the team to present each project, not just one or two people. "If possible, let them show their work on the projector. But keep things quick. By this point, projects may have a lot to say. Keep each project to 1 or 2 minutes, and if they are going to show something on the projector, make sure it is ready before the wrap-up session begins." A powerful ending means an energetic dynamic (taking into account how exhausted the participants probably are at this point from working through the entire night) and a quick presentation of findings and solutions. Also, don’t forget about the ceremonial part by choosing and awarding the best team (usually, this is the task of a professional jury that attends the wrap-up session). Although it might be not so easy, planning and running a hackathon is fun. First, it’s an event with a purpose - it ends with the presentation of concrete results or solutions to a specific problem. Secondly, its success depends on strict criteria, such as determining the project leaders, providing a positive working environment for the participants, running a well-explained welcoming session, assigning someone to be responsible for the hackathon room, and designing a powerful ending session. Having this in mind, you are ready to put on a cool geeky T-shirt and plan your first hackathon!